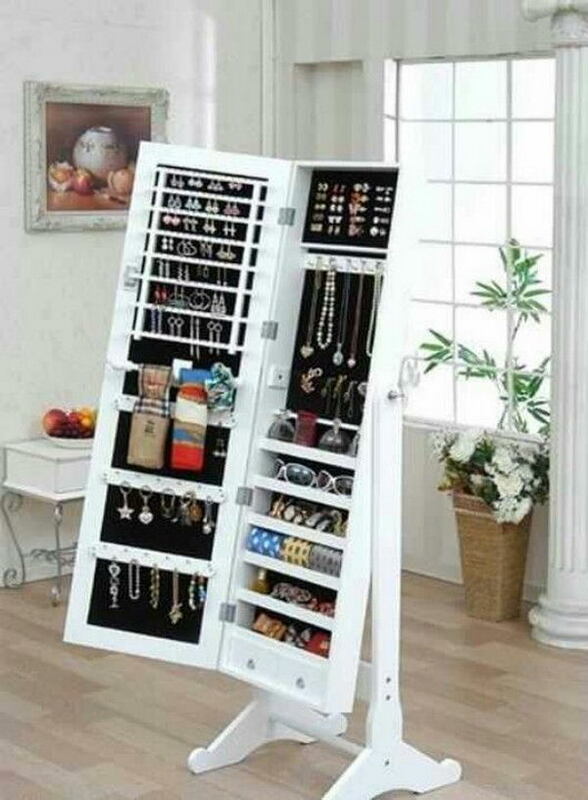 Jewelry storage ideas you’ll love! Shout out to all the budding fashionistas and trendsetters out there! We all have seen and heard time and again on how to keep our chic quotient on point by dressing and accessorizing right, knowing when to go all bling and when to take the road to sober. But the key behind actual success lies in the organizational skills. It’s not just about owning the right baubles but knowing when to adorn what which is impossible in a messy cluttered trinket box! Zotiqq not only presents you with an array of statement jewelry every month but also enlists some handy tips on how to store and flaunt your prized collection in style, with convenience as the cherry on top. So ditch the procrastination, choose your pick and get going ! 1. The Secret Closet: For the ones who prefer handy and ‘dust-free’ over fashionable display, this is the thing for you. A super convenient option where you can easily design this hidden closet with the customized shelves and hooks for your jewelry. Since it is attached to the mirror, it does not occupy a separate space for a display and avoids the clutter of a jewelry box stashed away in your dresser.